This festival marked a turning point for many of our young squad. We have never seen this level of commitment and intensity before...obviously testosterone is kicking in! A plate final 1:1 score at half time turned into a 3:1 win against a much bigger Tonbridge side. We won this in a fury of wild dog madness! In fact I am not sure whether we are sad to lose our lovely innocent touch players or pleased that they have turned on such a determined performance. I suppose that is the journey, as parents we all go through. Still I am so pleased our players shook the refs hand. That's the great thing about rugby... Hard play and great sportsmanship... the players are a tribute to our club as well as you. 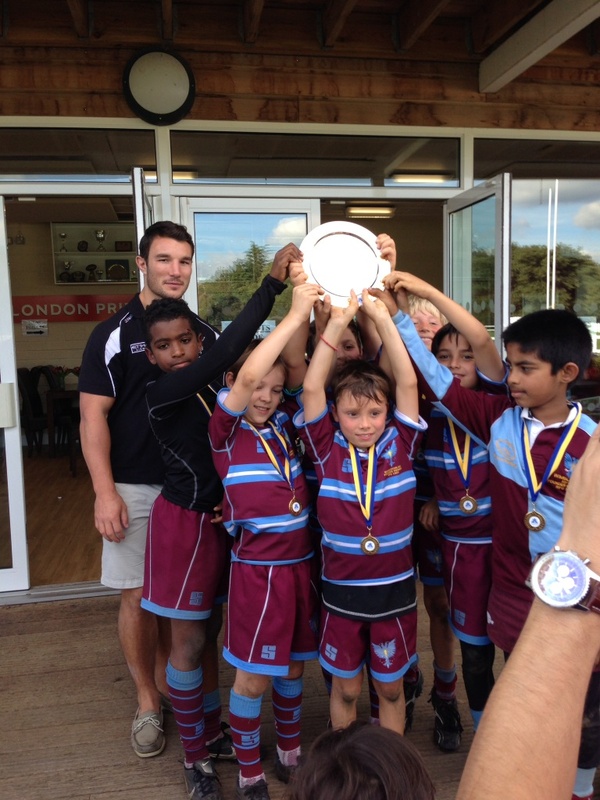 We won the plate and even the eventual final winners (Cobham) might have been struggling to live with us. Reports of each game below. First game... we knew this was tough as Cobham RFC had won at our place last week. Unfortunately we let in two tries in the first half and despite having most of the possession and some determined runs from Matheus in the second half we failed to score. The pack (Bakr, Raj and Toby) was on great form for this game but despite a lot of possession we did not play that well. Luckily Toby stormed up the middle to score the first, Brian should have had a second but was denied the penalty try or even a penalty for a blatant push. So it was left up to Ethan again to give us the winning try. Two wins took us to the Plate final and after hanging around for an hour in the sun kissed Cobham grounds we were off. Tonbridge had given Cobham a hard game so we thought this might be difficult. But our team were up for it, really up for it, monstrously up for it! We really had that winning attitude. The first half was a furious pace and I think I recall this right Ethan scored first then they got one back so it was 1:1 at HT. It was so hot Ramaging Raj and Bulldozer Bakr pleaded for a rest so Edward the destroyer and Roaring Rasmus stepped into the scrum. Tonbridge were at us big time at the beginning of the second half but Brian's boxing competitive genes come out and this infected the team especially Philippe who was always first up in the tackle, the result was that we won the mauls and rucks this larger, more powerful team should have won. Anyway we had the ball but on our try line and Ethan rode a tackle and he was down the length of the pitch to make it 2:1! A minute later and Stu was on one of his snaky long runs and it was 3:1...cruising no..we did not let up till the final whistle. We had won some silverware! Still a lot of technique to improve on but we have that winning attitude now. We have only lost to one team this season who have won both tournaments. We are in a good place. 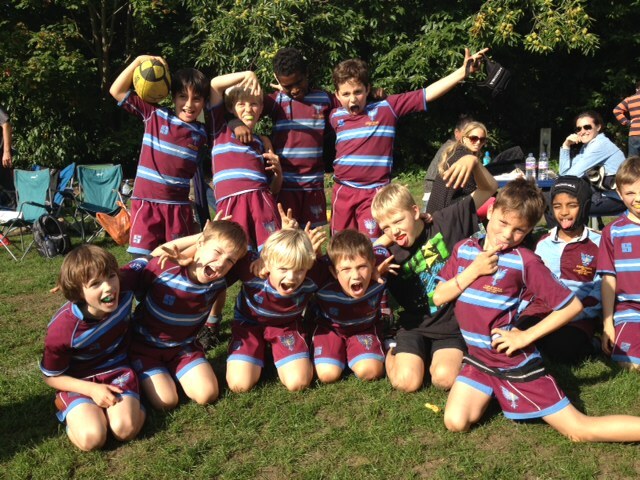 Rosslyn Park B fest on 20 October. Third time lucky v Cobham and then Ross Park? !